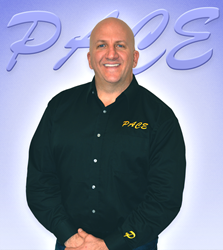 PACE Founder & Oneida Air Systems CEO Chris Guerrera implemented the PACE lean 6 sigma manufacturing system at Oneida Air Systems. "Within three months of PACE implementation, Oneida Air Systems experienced a reduction of 50% in both overhead costs and production floor space while increasing throughput...As a result, we've now tripled our revenue." PACE LLC, an Auburn, NH-based firm specializing in providing its clients guidance and assistance with lean manufacturing techniques, announced today that its proprietary PACE (Productivity And Capacity Excellence) system for implementing lean 6 sigma manufacturing has resulted in record growth for Oneida Air Systems, a Syracuse-NY-based manufacturer of industry-leading dust collection systems. Guerrera comments, “Oneida Air Systems is a company that takes great pride in successfully developing and manufacturing the highest quality products in the industry and offering world class customer support. Building on that strong foundation, we implemented PACE to improve quality, reduce lead times, increase inventory turns, and increase gross profit for the benefit of all customers and employees.” Guerrera previously served in leadership roles at Ingersoll Rand, Ford Motor Company, BMW and Mack Truck, and pioneered the PACE system during his tenure as Plant Manager of BMW’s interior group, Sommer Allibert. Guerrera added, “It was part of my responsibility at Sommer Allibert to implement Just-in-Time Live Broadcast Manufacturing, which would ultimately become the predecessor of the PACE system I’ve implemented at Oneida Air Systems with great success. Within three months of PACE implementation, Oneida Air Systems experienced a reduction of 50% in both overhead costs and production floor space while increasing throughput. Throughout the entire PACE process, we maintained a strong emphasis on the 3P’s: purpose, process, and people, and we were intent on always being ready to meet challenges and to ‘wow’ the customer. As a result, we’ve now tripled our revenue.” Within the last four years, the company has doubled its work force, now employing 60, with 10 new team members having been hired within the last six months. Founded in 2005, PACE LLC provides an array of partnership services in regard to lean 6 sigma manufacturing implementation, helping its clients to maximize customer value while minimizing waste. For more information, visit http://www.paceimpact.com.